I previously mentioned that there is LaTeX and MathML support in Pages and iBooks Author. This has now been extended to Numbers and keynote. 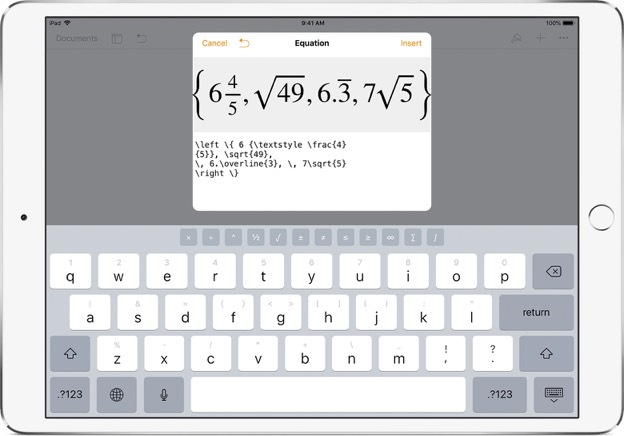 Add mathematical equations to your document in Pages, Numbers, and Keynote https://support.apple.com/en-us/HT207569.